This is an exhibition of four performance sailing boats, an outcome of the Ilen School’s work and innovation over the last few months. 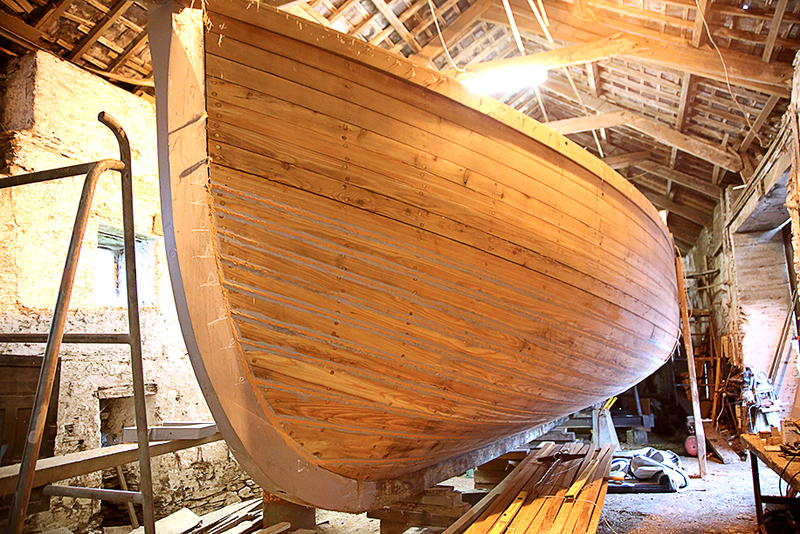 The boats have recently been built in Limerick, as part of City of Culture celebrations. 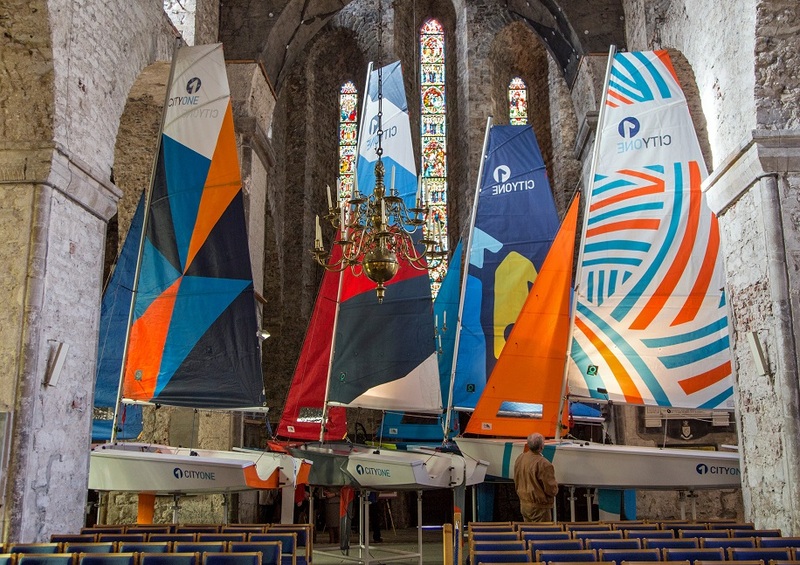 Each sail is a canvas, designed as part of the recent CityOne International Graphic Arts Competition. The CityOne Limerick boat is designed for sailing on the river Shannon as it flows through the City. The river was once integral to life here, and sailing in the city centre once more should enable a renewed elemental and riverine experience. boat moving in the lee of large city buildings, with the requirement for a userfriendly boat to manoeuvre in confined and fast water currents that are the river. The unsparing freeboard and buoyancy make it very capable in all practical sailing conditions of local waters from river to sea. within the reach of all with enthusiasm and commitment. 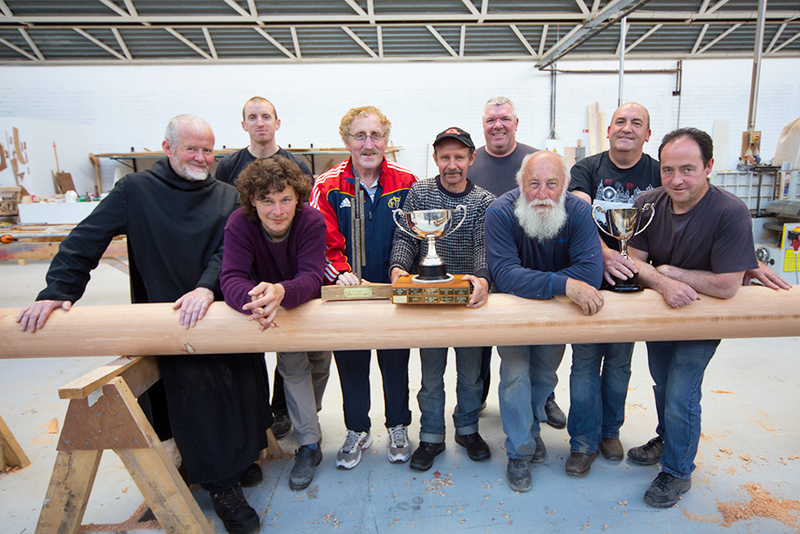 The collective and individual pride of achievement in building a boat, and setting forth to sail, seems to have excited and captivated the youth of all ages within the Ilen School, and the community it serves.